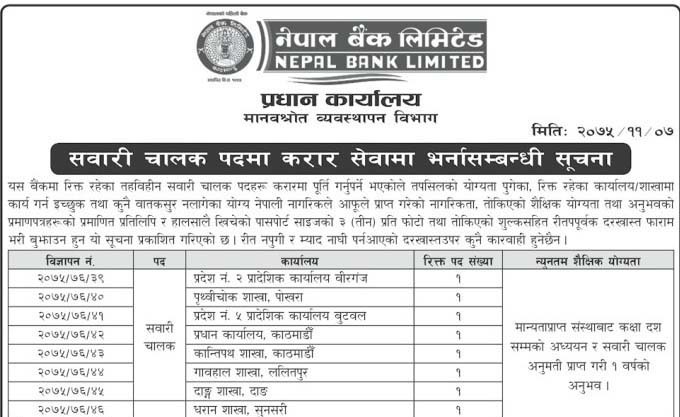 Nepal Bank Limited, The first bank of Nepal was established in November 15, 1937 A.D (Kartik, 30, 1994). It was formed under the principle of Joint venture (Joint venture between govt. & general public). NBL's authorized capital was Rs. 10 million & issued capital Rs. 2.5 million of which paid-up capital was Rs. 842 thousand with 10 shareholders. . The bank has been providing banking through its branch offices in the different geographical locations of the country.